CIMdata’s roots go back to computer-integrated manufacturing (CIM), a concept from the 1970s where computers control the entire manufacturing process. While some large companies invested heavily, much of the CIM vision went unrealized. Fast forward to today, where sensors, computing, and communication devices are bountiful and cheap, and the new vision is Industry 4.0, a concept that started in Germany in 2011 and is now embraced around the world. Beyond adoption by industry, it is embodied in national initiatives in China (Made in China 2025), India (Make in India), and many other countries. The core design principles of Industry 4.0 are interoperability, information transparency (including the notion of the digital twin), technical assistance (augmenting humans in analysis and physical work), and decentralized decision making. Some people talk about Industry 4.0 as the convergence of information technology (IT) and operation technology (OT); a bridging of digital and physical, cyber-physical production systems enabled by the Industrial Internet of Things (IIoT). At a practical level, however, companies are looking to employ these processes and enabling technologies to facilitate mass customization, allowing them to make money while serving markets of one. The Internet of Things (IoT) provides new opportunities for understanding how products are manufactured and used in the real world. Vast quantities of data will need to be captured, analyzed, combined with social and other real-world data (e.g., time and location), and presented to help humans to make better decisions more quickly. Predictive analytics and cognitive solutions can identify the best action needed to maintain, overhaul, or replace vital assets. In many cases, this action will be to allow the system to decide to act, especially in those situations where human-in-the-loop may be too slow. Security is a good example where network intrusions can happen too fast for human admins to respond quickly enough. Digital twins will help companies better design products and their manufacturing processes, as well as helping to understand and maintain the product in use. Digital twins can be used early in development to test customer reactions to product concepts, and later in the lifecycle to support service. It is important to emphasize that while all use the same phrase, digital twin, these twins are fraternal. Solution providers, driven by their offerings, partnerships, and strategies, mean very different things when they use this phrase. Industrial firms just need to be sure that the parts of the lifecycle of most interest to them are the best supported by their chosen solution providers. Industrial companies, software and service providers, and governments see the opportunities made possible and are investing. As the PLM Market & Industry Forum takes place in several countries and regions—the United States, Germany, India, China, and Japan—that are all committed to this topic, CIMdata has decided to use the 2018 PLM Market & Industry Forum as a platform to help move this conversation forward from a PLM perspective. To make this possible each global session will start with a presentation about the status of Industry 4.0 promotion and adoption in that country and region. CIMdata has researched the leading solution providers and industrial companies to take the pulse of Industry 4.0, focusing on early successes, key learnings, and issues that must be tackled. This information will be used to engage the audience, and to gather and report additional findings after the session. As members of the PLM Economy, it is important that you leverage this new wave with your customers. When adopting PLM, CIMdata advises clients to always position PLM initiatives within broader corporate or industry objectives, and Industry 4.0 and its related need for end-to-end digitalization is the perfect opportunity. With companies planning to spend a significant portion of their IT budget on Industry 4.0 initiatives, the PLM industry must be part of the solution. Of course, some of the leading firms are already leveraging this in their messaging but many still need to jump in to catch the digitalization wave. Plan to join us at one of our 2018 Forum events. CIMdata’s 2018 PLM Market & Industry Forum, the leading event designed exclusively for solution and services providers in the PLM economy, is a key deliverable for our PLM Community members. What critical topics will be addressed? Is the adoption of IoT, Industry 4.0, and new technologies, such as Augmented Reality and Virtual Reality, providing manufacturing companies added value and return on investment? What needs to be considered by companies seeking to implement Additive Manufacturing? What is Service Lifecycle Management and how are companies leveraging the IoT/IIoT to capture and manage information about the in-service use and status of products and systems? What is PLM’s expanding role in managing and extracting value from Big Data? What is Virtual Reality and Augmented Reality, where did it come from, and where is it going? What are CIMdata’s PLM Market & Industry Forums? The State of PLM — Today’s Market and Leading Trends.session will review the current state of the PLM industry with particular emphasis on trends and issues, including enabling Industry 4.0, and other emerging trends and necessities that are critical to PLM software and service providers. In this session, CIMdata will lead discussions on several topics pertinent to our consulting practice areas and our PLM Knowledge Councils’ research agendas for 2018. 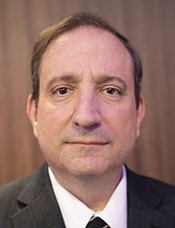 Peter Bilello has more than 25 years of experience in the development of business-enabling IT solutions for research, engineering, and manufacturing organizations worldwide. He has participated in PLM analysis, selection, implementation, and training; CAD/CAM/CAE/CIM implementation and management; synchronous and lean manufacturing consulting; software engineering; and general data management strategy development and support. He has authored numerous papers and research reports on PLM and related topics, and his articles, commentaries, and perspectives have appeared in publications throughout the Americas, Europe, and Asia. Peter has been directly involved with consultation on the selection, integration, and implementation of large-scale PLM solutions. He has spoken on a number of different PLM-related topics in Europe, North and South America, the Middle East, Africa, and Asia. Peter holds a BS in Computer Science with a minor in Physics from California State University, Fullerton, and an MSE in Manufacturing Systems Engineering from The University of Michigan. Stan Przybylinski has over 30 years of experience in the development of business-enabling IT solutions for research, engineering, and manufacturing organizations worldwide. He has worked in R&D, marketing, and communications with both Fortune 100 companies and small organizations. Mr. Przybylinski is responsible for CIMdata’s research agenda, including the CIMdata PLM Market Analysis Report series. 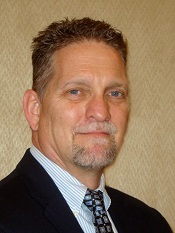 Mr. Przybylinski has been directly involved with selection, consulting, integration, and implementation of large-scale PLM solutions, and has worked on projects for both PLM solution suppliers and end-user organizations in the automotive, aerospace, consumer packaged goods, high-tech, and medical device industries. He has spoken on PLM-related topics in Europe, North America, and Asia. Prior to joining CIMdata, Mr. Przybylinski was Manager of Market and Competitive Intelligence for Dassault Systèmes. Mr. Przybylinski holds both a BS and an MS in Mathematics from the University of Vermont, and an MBA in Finance from New York University. The roots of CIMdata go back to computer-integrated manufacturing (CIM), a concept from the 1970s about computers controlling the entire manufacturing process. While some large companies invested millions (or tens of millions), much of the CIM vision went unrealized. Fast forward to today, where sensors, computing, and communication devices are bountiful and cheap, and the new vision is Industry 4.0, a concept that started in Germany now embraced around the world (and referred to there as Industrie 4.0.). Beyond adoption simply by industry, it is embodied in national initiatives in both China (Made in China 2025) and India (Make in India). The core design principles of Industry 4.0 are interoperability, information transparency (including the notion of the digital twin), technical assistance (augmenting humans in analysis and physical work), and decentralized decision making. Some talk about Industry 4.0 as the convergence of information technology (IT) and operation technology (OT), a bridging of digital and physical, cyber-physical production systems enabled by the Industrial Internet of Things (IIoT). At a practical level, companies are looking to employ these technologies and processes to enable mass customization, being able to make money serving markets of one. The Internet of Things (IoT) opens new opportunities to understand the intricacies of how products are manufactured and used in the real world. The vast quantities of data will need to be captured, analyzed, combined with social and other real-world data (e.g., time and location), and presented to help humans to make better decisions more quickly. Predictive analytics and cognitive solutions can identify the best action to maintain, overhaul or replace vital assets. In many cases, the best action is to let the system decide to act. In many cases human-in-the-loop is too slow. Security is a good example. Network intrusions can happen too fast for human admins to respond. Digital twins will help companies better design products and their manufacturing processes, as well as understanding and maintain the product in use. Digital twins can be used early in development to test customer reactions to product concepts, and later in the lifecycle to support service in the field. It is important to emphasize that while all use the same phrase, digital twin, but these twins are fraternal. Providers mean very different things when they use this phrase, driven by their offerings, partnerships, and strategies. Industrial firms just need to be sure the parts of the lifecycle of most interest be the best supported by the chosen providers. The German government kicked off a project entitled “Industrie 4.0” in 2011, but the concept predates that event. Industrial companies, solution and service providers, and governments see the opportunities made possible and are investing. Since CIMdata conducts the Forum in a range of countries—the United States, Germany, India, China, and Japan—that are all committed to this topic, CIMdata decided to use the PLM Market & Industry Forum to help move the conversation forward. Each session begins with a short introductory presentation about the status of Industry 4.0 promotion and adoption in that country and region. CIMdata has researched the leading solution providers and industrial companies to take the pulse of Industry 4.0, focusing on early successes, key learnings, and issues that must be tackled. CIMdata will use this information to engage the audience, and gather and report additional information from the participants after the session. For members of the PLM Economy, it is important to leverage this new wave with your customers. People will be talking. When adopting PLM, CIMdata advises clients to always position PLM initiatives within broader corporate or industry objectives, and Industry 4.0 and its related need for end-to-end digitalization is a perfect opportunity. If companies are planning to spend a significant portion of their IT budget on Industry 4.0 initiatives in a few years, it behooves the PLM industry to be part of the solution set. Of course, some of the leading firms are already leveraging this in their messaging and many others need to jump in to catch the digitalization wave.